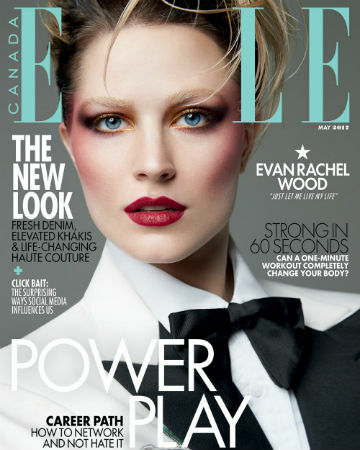 -I adore Evan Rachel Wood’s Elle Canada cover! She talks about her love of David Bowie, relocating to Nashville, and writing happy songs instead of sad ones. -Is Victoria Beckham heading to Carpool Karaoke? But, but…she’ll have to sing. –Justin Theroux presented Jennifer Aniston with an empty piñata during her birthday celebration. –Cindy Crawford knows how to use George Clooney’s twins for branding. Smart. –Chris Pine shaved his head and it’s kind of breaking my heart? That’s not weird, right?? –Anthony Stewart Head says he tried very hard to attend the Buffy reunion, but his theatre schedule prevented it. -Here’s our first Game of Thrones teaser for season 7. –Kirsten Dunst is at the top of her Instagram game. -Girl Trip isn’t even out get and “booty hole” is part of my everyday lexicon. –Brad Pitt puts boots on the ground in this new trailer for War Machine.